The hallway is one of the most neglected spaces in our home, yet it’s the first room people see when entering through the front door. Even in the smallest of hallways, you can create an impact by injecting a little personality. Now that spring has sprung it’s the perfect time to reevaluate your home and add stylish seasonal touches. Discover our spring design ideas below. When thinking about your hallway decor look at key colours and schemes that already run through your home. This ensures there is a natural flow as soon as you step through the door, moving into additional adjoining rooms. If your home is a homage to neutrals and magnolia, it will make a magnificent canvas for seasonal experimentation. Swap out winter decor with playful prints, floral fabrics, and pops of yellow and green. You can still keep the space looking cosy with textured jute rugs, baskets and natural window coverings such as linen or cotton. Soft florals and botanical prints are fantastic in hallways adding visual interest and a sense of calm without overpowering a space. Single out a wall with a splash of colour or if you still want to stick to neutrals add an uplifting print to cushions and artwork. Cole & Son have a beautiful range of floral wallpapers while Romo has inspiring collections of decorative fabrics and wallcoverings for all tastes. Gather and curate all of your decor in one place before you start to add them to the space. Use mirrors and glass objects to create the illusion of light. Find balance, consider the placement of objects by not putting similar objects too close together, or crowding certain areas. Liven things up this season by bringing a little of the outdoors in. The easiest way to bring spring indoors is by arranging fresh flowers, especially bright and playful daffodils by the doorway. If you want to add greenery to your home all year round then a selection of indoor plants is ideal. Indoor plants are as popular as ever and with so many to choose from you’re bound to find the perfect addition. The RHS revealed its horticultural trends for the year ahead and these included varieties such as fiddle leaf figs, swiss cheese plants, ferns and cacti all of which we’ve seen a growing amount of on social media. If you have a narrow console table, shelf or window ledge these are all opportunities to display potted plants, swapping them out whenever you feel like it. Whether you have an empty corridor, entrance or landing, hanging a gallery wall can add a much-needed touch of personality. 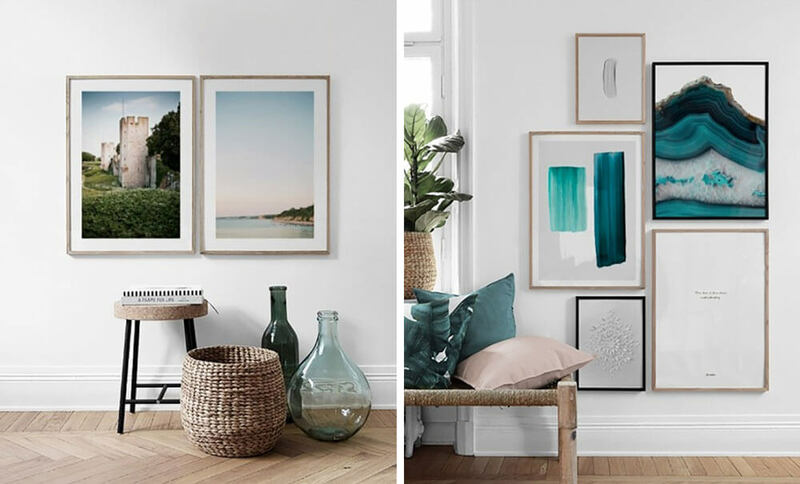 If you have a set of photos full of memories or a collection of art that’s taken years to source, a gallery wall is a perfect solution to hang and display them. Look at what mood you want to evoke and whether it fits with the space and interior style. Experiment with bold colours and patterns for an extra wow factor, or keep it minimal with calm tonal hues or monochrome prints. When curating your gallery wall lay the pictures out first and decide on the spacing in-between your pieces, you don’t want it to become overwhelming so be careful with the number of frames and styles you use. The natural materials trend isn’t particularly a new one however this spring we’re seeing the use of tactile fabrics become increasingly popular. Materials such as jute, hemp and sisal are ideal for hallway rugs, while rattan and bamboo statement lighting can create a relaxed, authentic feel. Often, a staircase can be the first thing that people notice when entering a home, which means it’s vital that your staircase looks the part and works with your hallway. A bespoke option can impact a space and transform an entrance from the messy, cluttered area that it so often becomes. 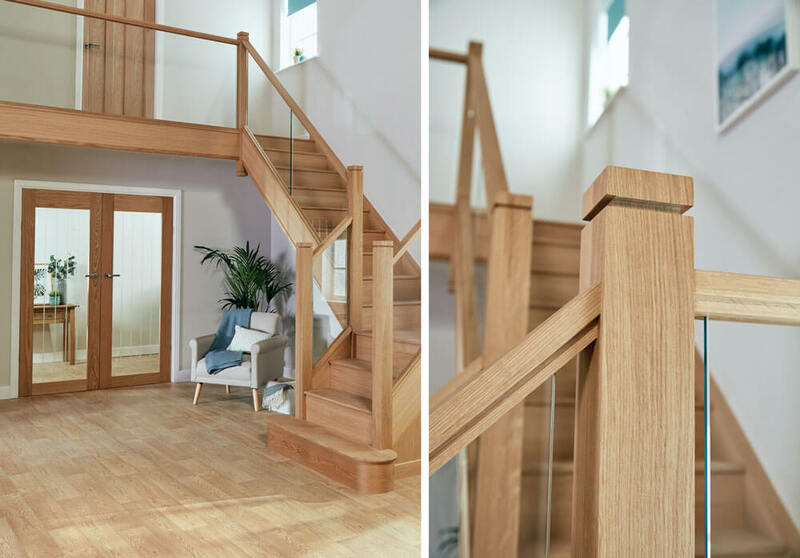 The combination of oak paired with glass has become a trendy choice for staircase designs in recent years. Lighter coloured woods such as oak help to create a light and airy atmosphere and the addition of glass opens up the space – allowing light to flood through, creating the impression of more room. 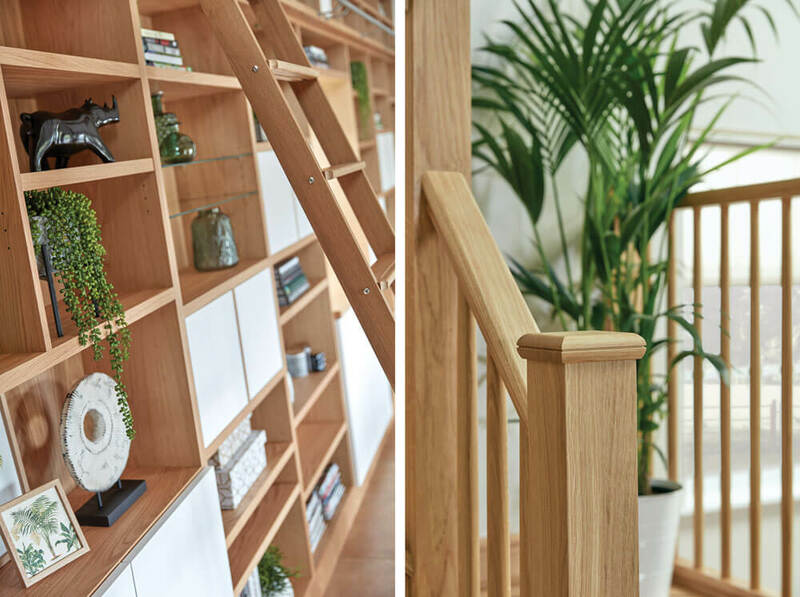 To find out more about our staircase renovations read our quick guide here or to explore all of our stunning designs request a free 2019 brochure today.